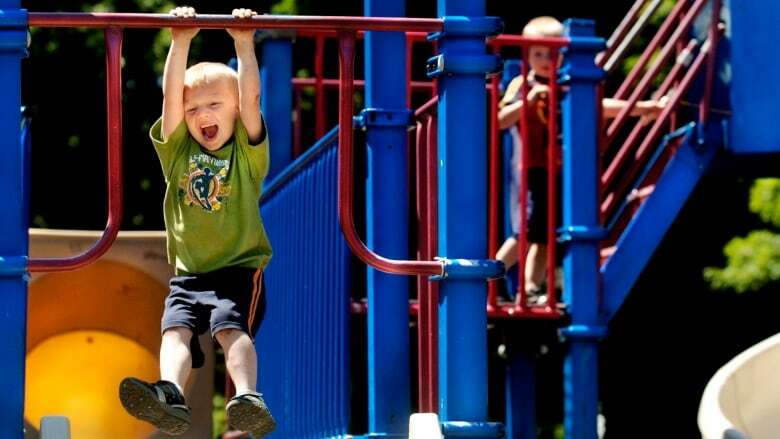 Free-range parenting: Is it time to let kids off the leash? A viral video this week seemed to show how easily small children could be lured away from their parents. We hear both sides of the helicopter parenting debate with the creator of the video, "Joey Salads," and Lenore Skenazy, an advocate of "free-range parenting." A YouTube video showing a man pretending to lure kids away from their mothers garnered millions of views over the past two weeks. The clip's creator says it illustrates why parents need to be vigilant, while critics say abductions by strangers are incredibly rare and the video sends a terrible message to already overly-protective parents. Day 6 spoke to the man behind the video, an online prankster who goes by the name "Joey Salads," and Lenore Skenazy, an advocate of "free-range parenting." Joey Salads, the YouTube prankster, explains why he decided to conduct this child abduction "social experiment" - with the permission of the children's mothers. What was the point that you're trying to make when you made this video? I want to make people see how easy it was to abduct a child. How old were the kids that you approached in the playground? They were between the ages three and seven, I believe. We see three kids in this video. How many others did you talk to? There were only three of them that I attempted to "abduct" and those are the three you see in the video. In between filming some scenes, groups of kids would actually run up to me to pet the puppy. I wanted to try the experiment on those kids, but I didn't see their parents around, so I didn't do it because I didn't want to get in trouble. But I could have easily abducted even more. So all three children in that video go with you when you say, 'Would you like to see more puppies?' Could the kids see you talking to their mothers before you approached them? When I saw the kids, the kids were on the other side of the park, so I don't think that that was an issue. I'm still a stranger to these kids, so it shouldn't have affected the results. You say at the end of the video 700 children are abducted each day. Where did you get that number? I typed it in Google and it's the first website that popped up on some parenting website, so that's the statistic I used. But I found out that statistic is right and wrong at the same time. It turns out that's how many kids are abducted, but the majority of the number of kids that are abducted are abducted by other family members. The abducting number by strangers is a lot lower. Why do you think this video has gone as viral as it has? Because it shows the potential dangers out there that parents never really experience. Now this is kind of like a learning video to teach parents and children what could possibly happen in a matter of seconds. Were you surprised that all three children without hesitation took your hand and were willing to be led away?And what do you say to people who say that this video will make parents too protective of their children? You can't be too protective because children are too young to comprehend the dangers out in the world. They're so young, you know, they live a very very sheltered life. They just can't comprehend what a stranger is and what could possibly happen. So I believe that parents just need to keep an eye on their kids 24/7 and everything will be fine. Were you surprised that all three children without hesitation took your hand and were willing to be led away? You thought that they would have said no. I expected like at least one of them to come with me, but not all of them. So you were shocked by what you found out? Lenore Skenazy is the mom who, in 2008, sent her 9-year-old son to ride a New York City subway by himself. She's a public speaker and the author of "Free Range Kids". Lenore, you've seen the video, you just heard my conversation with Joey. What do you see as the problems with the scenario that he shows us in the video? Well thank God, it's very rare. And as he pointed out himself, this "700 children a day being taken from public parks" is completely off. In my country, this statistic is 115 children are abducted by strangers in a year. The video that he's created now has about five million views. Doesn't that speak to real legitimate fears? These cases may be exceptionally rare, but some kids really are abducted by strangers and people are afraid of that. You're totally right. People are extremely afraid of that extremely rare, horrific scenario. The more we talk about it and the more legitimacy we give to the idea that the minute you turn your back on a child in a park they're going to be lured away by a stranger, the emptier the parks get, there are more children who are sitting inside, the more police are arresting parents who let their children walk home from the park, like the family in Maryland that was recently investigated for negligence for simply letting their kids play outside. It will become a mark of absolute negligence and abuse to let your children go outside ever. He himself said he believes parents should be looking after their children, eyes on their children, 24/7. That's a radical new idea of how to raise our kids. But parents, especially now in the twenty first century, they're often on their phones, they take smartphones to the park. They can become distracted. Isn't this really good reminder to at least keep an eye on your kids, if not to pull them out of the park? It is really hard for people to grasp the rarity of risk. It almost seems that if there's any risk at all we shouldn't take it. But in fact, the most risky thing that any of those parents did that day of the Joey Salad's video was driving their kids to the park because that is actually the number one way children die, is as car passengers. And yet you don't see videos saying "We saw if parents could get three children in a car and by golly, they did. And don't they realize that this is the number one way kids die? Parents I want you to know that any time you're putting your child in a car they're in grave danger don't do it. It's a public service." He doesn't do that. He plays on this bogeyman fear that gets five million hits. I'm not surprised, because we've always been afraid of the big bad wolf. But that fear comes from the fact that emotionally, parents don't want to consider what could happen if they play with those odds, which may be a billion to one. You understand that, don't you? Well I hope you understand that if the odds are a billion to one and you think that what you're going to do is risky, there is something a little off. I just spent Saturday going by parks seeing if anybody was in them. I probably looked like a predator myself, but I passed them. I was in suburban Chicago over the weekend and park after park after park. Nobody's in there. Why do we have parks if we're going to only scare people from ever sending their kids out to play again? Remember we're at a 50-year crime low and frankly, a child is far more likely to encounter an abuser at his own dinner table than at the park. Because the vast majority of crimes are not committed by people that the kids don't know. Stranger danger is vastly over represented on T.V. and in discussions like this, but in reality, if you really want to make it safe- Joey, if you want to make a video that will really make kids safe, teach them the three R.'s Recognize that nobody can touch you where your bathing suit covers. Resist anyone who attempts to hurt you or bother you. You can run, kick, scream, punch him in the nose. Finally, report. If somebody is bothering you, if someone makes you feel bad, even if they say it's a secret between the two of you, tell me and I will not be mad at you. So you've taken away the abuser's best friend, which is secrecy. That is going to save a whole lot more children in a whole lot more situations than warning parents that the boogie man is waiting at the park with a puppy. Lenore, I think one of the reasons why these videos are so powerful is because we see children in real-time making decisions that they shouldn't be making. Joey told me that the kids in this video are three to seven years old. Are you saying the kids that age should be more autonomous? No, I think that anybody under age seven probably needs supervision most of the time, certainly in public. But starting at age seven, the rest of the world sends their kids walking to school, taking the subway, taking a bus, taking a school bus. And so age seven is the age of reason and that is the age that I would start teaching kids that they could have some time on their own. But of course I would teach them that free-range is not free-wheeling. You teach them how to cross the street safely, as our parents taught us. You teach them, that they can talk to strangers but they can never go off with strangers. And that's a lesson that I agree is a really good one. The odds are against getting into an airplane crash are very very ridiculously low as well and people fear that all the time. You wrote a blog this week responding to people who'd written to you, people who were actually abducted or molested by strangers that they encountered in public places. What did you tell the people who actually had that happen to them? First of all I sympathized. What a horrible thing to happen to anyone. My heart sort of plummets when I hear these stories. What I appreciated about both of the people who wrote to me is that they're trying not to raise their own kids in fear of this extremely rare occurrence. This Saturday, you're calling for a "Take Your Children to the Park and Leave Them There Day." That's a scary prospect for some parents out there. What do you want them to think about? I'd like to think about their own childhoods and remember their fondest, happiest memories and think about whether their parents were right there with them. If not, maybe it's time to give your children some of that freedom that you relished back when the crime rates were higher. More women and openly gay leaders in Canadian politics: Are barriers coming down?